Liverpool started season 2012/2013 in the Premier League with very serious ambitions, but after the fifth round the team is on the 18th place with one point less than their opponent in this round – Norwich. So far Liverpool have managed to get only two draws and lost three times thus recording the weakest start so far in their history in the Premier League. However, this has its explanation. Liverpools schedule for the first five matches was really hard playing with the champions of Manchester City, the second of the last season Manchester United, the traditionally strong team of Arsenal and two very serious teams such Sunderland and WBA. The combination of the heavy program and the change of the manager who tried to introduce his own principles against these rivals proved to be too heavy for the team. Anyway, Brendan Rodgers has already had his two months as Liverpool’s manager and it is the time for the team to go up. Frankly speaking, the players didn’t play badly. In the next three rounds Liverpool travels to Norwich, playing at home with Stoke and Reading. These are the mandatory three victories that will surely mend the situation at the club. Norwich hasn’t had any win in the Premier League yet, but in contrast, the team has three draws. The team did not play badly, but they play just in the standards for a team from the second half of the standings. What can be said with certainty is that the players of Norwich will do everything possible to put up a strong resistance to Liverpool, but the question is – Are they capable of doing something big in the match? My opinion is that it is unlikely. Moreover, the statistics is not in their favor. 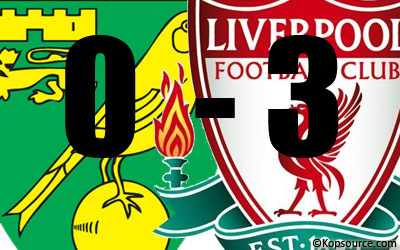 Norwich have hosted Liverpool twice in the Premier League, both games were lost by the hosts. Last year Liverpool won with 0-3 with three goals from Luis Suarez. I see no reason this to change somehow. The betting odds for a Liverpool win is 1.8, which is too small for the visit of the 18th against the 17th in the Premier League, but the bookies are not stupid at all and they know what will happen on Saturday. Welcome to my betting site for predictions, tips and other useful information about gambling. I hope you will find it interesting and use my predictions for free. I named this site OverTime Push because betting is exactly this - to push yourself to the maximum to gain the win. If you don't do it, you will probably lose. Gambling is a tough game and who doesn't understand it is doomed to failure. For my premium subscribers I offer also paid betting advices which is a great option for you because I charge you only if the betting prediction I made is successful. I think this is a fair deal. The price for every successful betting prediction is 10 USD which is sent to me by PayPal. I offer also individual betting lectures via Skype which is charged by agreement.